We’re half way through the year and it’s been a hectic one for me! Since the start of the year I’ve performed and toured with six different line-ups, starting with the Accordionesse project at celtic connections, then tours with Coven, Lady Maisery, Maddy Prior, My solo gigs and JigDoll gigs and finally some duo gigs with the amazing Claudia Schwab. I’ve also done quite a bit of teaching, running courses from home, a singing weekend with Lady Maisery, a day of working with some amazing students at Newcastle University and, last weekend, I ran the first ever clog weekend at Halsway Manor. It’s been a blast, if a bit exhausting, but I’m very pleased to say that I’ll be spending most of my time over the Summer with my creative head on, developing new work and not doing too many gigs! I can’t wait. I love gigs, but being on tour requires a very specific frame of mind, one that makes it quite difficult to be creative or plan ahead…. or wash your socks or keep on top of emails! This summer I’m going to be focusing on two projects. The first is the JigDoll Ensemble (which I’ll be blogging about in more detail shortly), this it the next phase of my JigDoll project which brings together some of my favourite musicians ever from Estonia, Scotland and Hungary. 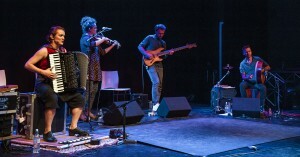 The ensemble will be performing at Towersey folk festival and then touring the UK in November. The dates will be announced VERY soon, and I’ll be posting some videos of the development process as it unfolds. The second project I’ll be working on is a piece about clog making commissioned by the University of Reading and their Museum of English Rural Life. 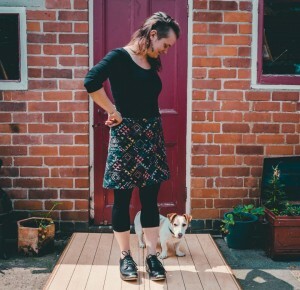 The MERL have been running a project called Museum of the Intangible, all about finding ways of passing on bits of history that don’t survive in inanimate objects – things like skills and crafts that have to be passed down from person to person and are lost forever if the chain is broken. As a traditional dancer this is something that resonates with me a lot. They have commissioned a new piece from me involving a new pair of clogs from Geraint Parfitt, one of the last clog makers who still makes clogs completely from scratch, only using hand tools. He is based at the fantastic open air museum in St Fagan’s just outside Cardiff. This week Eric the film maker and I spent a day chatting to him, having my feet measured, looking around his workshop and taking some footage which I plan to use as part of the new piece. It was a fascinating day and I actually felt really emotional, talking to him about his love for the craft and his sadness that so many of these skills are not being passed on in all their wisdom and detail. There are so many nifty little tricks, movements, ways of holding blades, ways of holding the wood, things that you would never think of that go into a craft like this that have to be learnt over time by working with someone who is already a master of it. 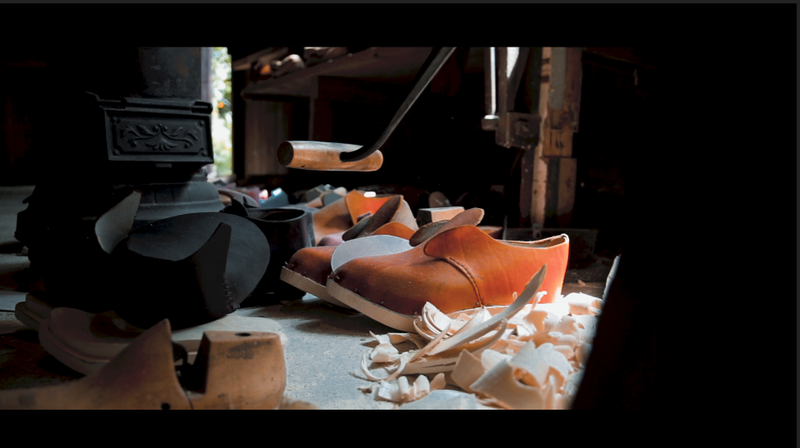 There’s also something so soothing and beneficial to witnessing a craft like this, the creation of a clog moves at it’s own pace and no faster, and requires patience and a deep understanding of natural materials that so few people possess in the world we live in – it’s a real antidote to a touring lifestyle! After my visit I felt more grounded than I have for a long time! This project also seems like a really nice progression from the JigDoll show which contains references to coppicing, carpentry and clog making. I’ll be pouring all of these ideas and as much knowledge about the craft as I can learn into the new piece which will be debuted at the University of Reading on November 6th. I’ll also do my best to keep you up to date with the progression of the piece. Ultimately, the clogs which are made for me to use for this project will end up back in the museum; after a few years of life on the road with me. A new artefact with it’s own story for the MERL. I have also created a little ‘virtual clog lesson’ which will be projected in the museum so that visitors can learn this still after reading about the history and the making of the shoes. filming the clog tutorial with my little helper! I hope you enjoy following my work over the summer and are able to make a performance when I’m back on the road this Autumn! Tomorrow I’m off to Budapest to work with the amazing percussionist András Des, on some ideas for the new JigDoll ensemble show – but more on that soon. PS. Please join my mailing list through the link at the bottom of this page!